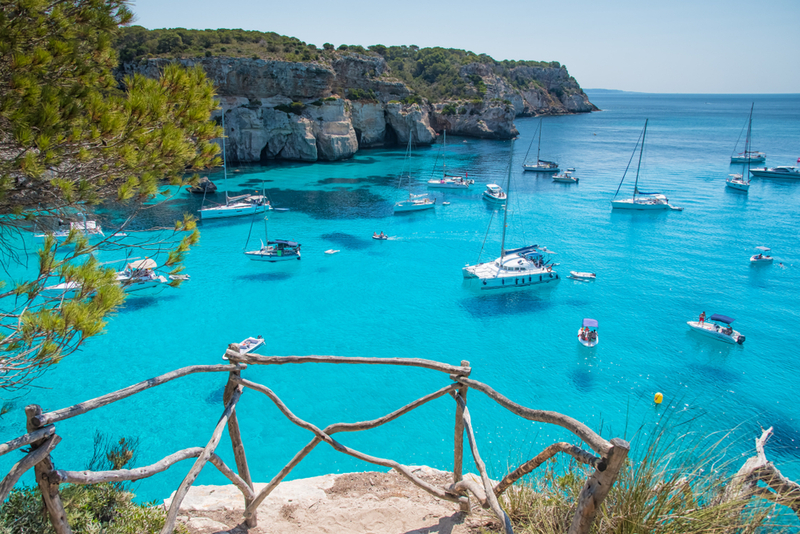 Casa Anna is located in Binibeca Vell on the Spanish island of Menorca. 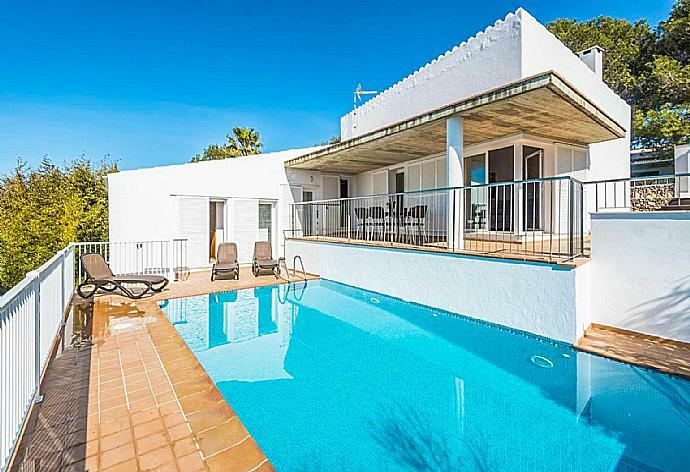 This detached vacation rental property sleeps up to 6 people with 3 bedrooms, 2 bathrooms along with private swimming pool (South West Facing) . The villa is walking distance to the beach and restaurants. 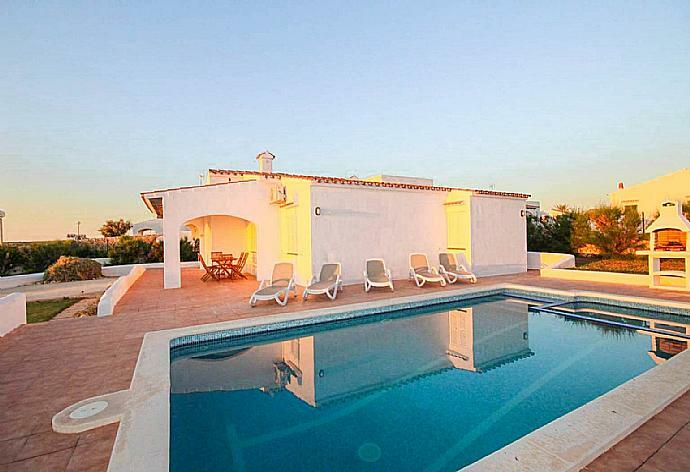 Casa Anna is a villa with a private pool and large terrace. The main entrance to the villa is at road-level. A driveway descends from the road to the pool and terrace area which is situated at a lower level. Beside the pool is an outdoor dining and BBQ area with sun shelter. Inside the villa is a living room with dining area. The living room opens onto a balcony with sun shelter and steps that lead down to the pool. On the same level as the living room is a kitchen, double bedroom with en suite bathroom and balcony access, and a family bathroom. From the living room a short flight of steps lead down to two twin bedrooms. Casa Anna can sleep up to 6 people. We enjoyed our time in Casa Ana although as mentioned above there are a few things that we think would improve the villa. If the pool area and the decor were a little updated that would make the villa very appealing too. Overall though we had a lovely holiday and enjoyed staying there. We very much appreciated being able to stay at the villa until our transfer picked us up, many thanks for this. Our favourite village in Menorca, Binibeca Vell is quiet and so pretty. We have visited the island for over 20 years now! Its magical and already planning our return for next year! Our stay in Villa Anna was perfect, the house is well equipped with everything that we needed. The team both in the UK and in Spain works very well and provided all the information and help that we needed. Thank you very much, I am sure we will rebook a property with you. Holiday was excellent. This was our 2nd booking using Agni travel and from start to finish we had great service. They were always on hand to help us and explain any issues we were not sure about before arrival. The villa was lovely and quirky. The outside area around the villa was fantastic. On the evenings we stayed in we prepared meals and sat down at the small seating area near the pool. Plenty room for our 2 daughters to run around and being 8yr and 11yr they loved the space. The pool area got the sun most of the day so in consequence the pool was fairly warm. The pool was also cleaned a couple of times during our 7 night stay. The villa met all our expectations and we would def book this villa again through Agni travel. The villa is as described and went above our expectations. It is located close to several restaurants, bars, and the beach. The villa is clean and fully equipped. There were the necessary kitchen supplies for us to make a quick breakfast before we headed out each day and make meals when we returned as well. The area by the water is great for eating, reading, and swimming. The restaurants were great and drinks were as strong as you wanted them and the food was delicious. Good location and villa. We are already planning our return to Casa Ana! Could not have asked for a better holiday! This villa is as described and more. The pictures dont do it justice as its even more impressive and beautiful in person. It was nice to come here and get away from the busy city life. The location, the island, the people, Agni Travel, and everything else was were all exceptional. We will undoubtedly return for another vacation of a lifetime. Its now been 2 weeks since we left lovely casa Anna. Meals from the terrace are our fondest memories. It was the most wonderful holiday. We enjoyed a wonderful relaxing week in Binibeca Vell and thoroughly enjoyed our stay in the villa- it was a real home away from home. The resort itself, although quiet, was well situated near some lovely beaches. The villa had everything we needed and more - it was spacious, well equipped and well maintained. The balcony was wonderful with amazing views of the sea and was a favourite spot both at the beginning and end of the day. We would definitely recommend a visit to this villa as it was the perfect location for a great family holiday. The house very well located in a quiet area with little traffic, is as shown in the photos. It is tastefully decorated. Beds clean and comfortable. The outside area is really spacious. There is a lovely sheltered area to sit out of the afternoon sun and great to enjoy an evening meal. Perfect, highly recommended accommodation. 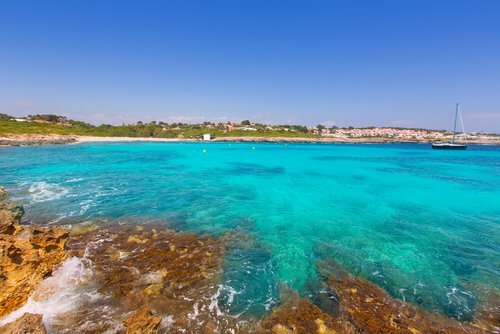 Binibeca is a stunning and peaceful resort situated in the southeast of Menorca, with a white sandy beach, restaurants and low-key bars, the perfect location for families or couples looking for a quiet villa holiday. Casa Anna was booked 4 days ago!